Recent changes to my work schedule mean I’m burning through podcast episodes at an alarming rate. At one point last week my stock was down to just one 99% Invisible and a Radiolab repeat. So I went looking for some fresh stuff and came across Cinescope, a movie podcast where the presenters are relentlessly cheery and positive. The first episode listed on the feed was Back to the Future – a strong start – and then came Wrath of Khan, Blade Runner, Harry Potter… and Robin Hood: Men in Tights. An intriguing collection! I gave Cinescope a listen and quickly became a fan. I do like podcasts where people hate-watch things, but with so much negativity going round, Cinescope’s lack of cynicism is a refreshing change. The discussions are thoughtful and interesting and I’m a subscriber. I reached out to the host, Chad Hopkins, to find out more about him and his philosophy. 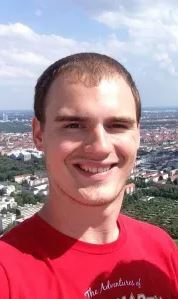 My name is Chad Hopkins, and I was born and raised in a small suburb of Dallas, Texas. I was active in band, choir, and theatre throughout school before heading to Lubbock to study music education at Texas Tech. Nowadays, I’m back in the Dallas area, currently substitute teaching and teaching French horn at my old high school. My history with movies goes back to when I was 9 years old when I got John Williams’ Harry Potter score, and I realized that you can use music to tell a story. A love for film scores began, and as I grew, that expanded to the films themselves. I became a Wikipedia junkie, spending hours at a time exploring movies’ wiki pages and clicking back and forth to learn more about the works of various directors, composers, and actors, and I became a fan of all genres of film. While in college, I started my own movie review site called ChadLikesMovies.com, and I also became an avid listener of The MovieByte Podcast and an active participant in their live broadcasts, to the point that when one of the co-hosts had to leave, host TJ Draper asked if I’d join him as co-host. I had a blast being a part of that show for about 50 episodes. Two years later, I hadn’t updated ChadLikesMovies in a while, MovieByte was over, and I was really missing both podcasting and talking about movies. The day after a rewatch of Brad Bird’s Tomorrowland and feeling a lot of disappointment with how poorly received that film was, I thought up the Cinescope Podcast, and here I am today. Couple of general podcast questions. What was the first podcast you listened to? 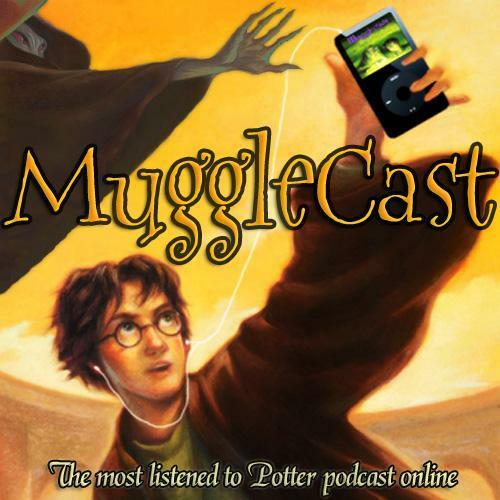 My first podcast was MuggleCast, the Harry Potter podcast made by Mugglenet.com, all the way back in 2006, and it was the only podcast I listened to on and off for several years. It’s still going strong, covering news about the upcoming Fantastic Beasts & Where to Find Them as well as the recent release of Harry Potter & the Cursed Child. It was one of the coolest things having one of the long-time co-hosts, Eric Scull, on Episode 3 of The Cinescope Podcast! You should definitely head over to their website and give it a listen. What’s the best podcast out there at the moment? Yikes, that’s a tough question. I listen to a pretty wide variety, from entertainment news to video game shows to celebrity interviews, but I’m also a big fan of true crime. Probably my favorite podcast in that category is Sword & Scale, which can definitely be a bit disturbing to listen to at times, but it’s also expertly crafted into compelling narratives every episode. If you have interest in that genre, I’d definitely recommend it! I’ve listened to the entire backlog. Let’s move on to your podcast. One of the top movie podcasts is How Did This Get Made, and there seem to be a raft of clones – all looking to mock terrible movies for being terrible. Is that why you felt there was a need for a podcast with no criticism? The past year has been particularly difficult when it comes to film criticism, and people everywhere are more vocal in their opinions than ever, particularly when it comes to negative opinions. 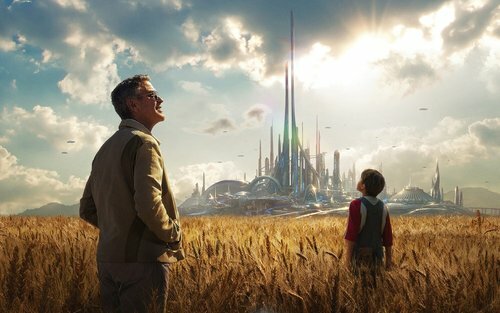 The “last straw” for me was that rewatch of Tomorrowland, which was met with mixed reactions upon its initial release, but I personally think it’s an incredibly well-made and inspiring movie. I’ve written my fair share of negative reviews for films in the past, but at this point I figured if everyone else is doing that, why don’t I take a different approach? I wanted to create an outlet for celebrating the creative accomplishments of others rather than nitpicking the things they didn’t do well. Plus, talking about things we love is so much more fun than talking about things we hate! I haven’t seen Tomorrowland (though now I want to) but know the feeling of being aghast that everyone is down on something that is so clearly amazing. As well as podcasting about movies, you write reviews on your Chad Likes Movies site. Why are movies such an important part of your life? It’s hard to nail down specifically what draws me into movies so deeply, but I’ll give it a try. I love storytelling and character relationships. I love being absorbed into a magical world that sets believable characters in extraordinary settings. I love hearing a composer’s musical interpretation of the director’s creative vision and how the two can enhance each other. I love seeing my favorite stories from other media (books, theatre, etc.) being reimagined for the big screen. I love movies that ask questions and start conversations about things that are important. I find it refreshing that you’re so positive, but I do sometimes wish you’d address bad parts of a movie, too. A couple of times in the first 8 episodes you or a guest start on a little whinge but then stop yourself. Will pointing out a bit of wooden acting or dumb dialogue ever make its way into the podcast? I’ve thought about ways to address things like this, but I’m not entirely sure exactly how to tackle it; after all, if How Did This Get Made? and others can gain a following for saying nothing but negative things, why can’t I do the same with positive things? You started Cinescope with Back to the Future, so that’s plus 9000 points from me. Back to the Future has been my favorite movie since I was 10 years old, and I don’t see that ever changing. So glad to meet a fellow fan! And let me tell you – you haven’t properly watched BTTF until you’ve watched it with me giving you behind-the-scenes tidbits the whole time! Whoa there! 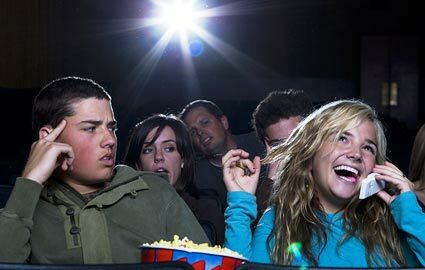 No talking during movies! In a theater setting and for movies like Inception, I definitely agree with you. But if I’m enjoying a familiar movie with friends, I’m not opposed to a bit of talking as long as the movie is still the focus! Watching Back to the Future with me is like having a commentary track playing while you watch! Commentary tracks can be fantastic. In the Wrath of Khan episode, I loved the detail you guys revealed about a certain death, where Gene Roddenberry leaked the plot, and how the movie’s producers responded to that. I think that stuff like that is incredibly interesting as well, which is why I purchase most of my movies on Blu-Ray so that I can watch all of the special features where stuff like that is often revealed by the filmmakers themselves. Of course, if it’s Star Trek-related, you can always go to TJ for those tidbits! You’re really into the soundtracks of movies. Did you train yourself to notice what composers were doing or did it come naturally? Well, as you know, I’m actually a musician by trade. I play the French horn and sing as well. I originally started noticing soundtracks outside of a film with their separate soundtrack releases, but over time as I became more familiar with the terminology and learning what to listen for it became sort of second nature to both listen to the score and enjoy the movie on its own while watching. I still collect soundtracks though and actually have nearly 200 film/video game scores in my collection. If you want to practice paying attention to a film’s score and how it affects the film, I would suggest watching a movie that you’re already very familiar with and exclusively pay attention to the music. How does it make you feel? Does it enhance or detract from a scene? Are there any memorable themes? Take notes as you listen, and you might be surprised with what you notice, and you’ll get better at it over time so that you don’t have to take your attention away from one thing to notice the other. While we’re talking about sound: What’s your podcasting setup? It’s pretty simple right now. I have a Blue Yeti microphone (Amazon link) mounted on a desk boom arm with a pop filter on my desk. When recording, I use Sony MDR-7506 studio headphones to monitor my voice, and we use Zencastr to record. It is browser-based and has built in VoIP, so it records each host’s individual tracks and uploads to Dropbox when recording is finished. From there I just have to download each track and sync them together/edit them down in Audacity on my MacBook Pro, but I’m hoping to start editing using Logic Pro X soon. When my friend Melanie recorded with me in Episode 7, we sat in the same room but distanced ourselves as much as we could to avoid microphone pollution. She used my Blue Snowball microphone that I used to use to record MovieByte. I have a Blue Yeti, too, it’s great. Going to have to check Zencastr out – that looks pretty slick. Talking about guest hosts – what sort of person are you looking for? I’m looking for anyone who loves movies! Prior experience doesn’t really matter to me. For example, when my friend Melanie was on the show, it was her first time ever doing anything like a podcast. She was nervous, but I assured her that I edit the show for listenability (cleaning up some ums, uhs, and so on before posting it), so any time we felt the need to pause, restart a topic, or take a moment to gather our thoughts, it was perfectly fine! All that mattered was that she loved Harry Potter and the Sorcerer’s Stone as much as I did, so we had a great conversation and it was a good episode. So if you love movies, I’d love to have you on the show! Cough. Philosopher’s Stone. Cough. So, Chad, what are your hopes or targets for Cinescope? I’d certainly like to expand the audience beyond what I have at the moment, but more than anything Cinescope is a labor of love; I host Cinescope because talking about movies is something I’m passionate about, not because I want to be famous or make money. Right now, I just want to continue making new episodes, but in the very near future I’m hoping to launch a Patreon page where I can sort of expand Cinescope to be more all-encompassing outside of just talking about older releases – new releases, TV shows, maybe even story-driven video games! Of course, that depends on audience interest and support, but I’ll cross that bridge when I get to it.